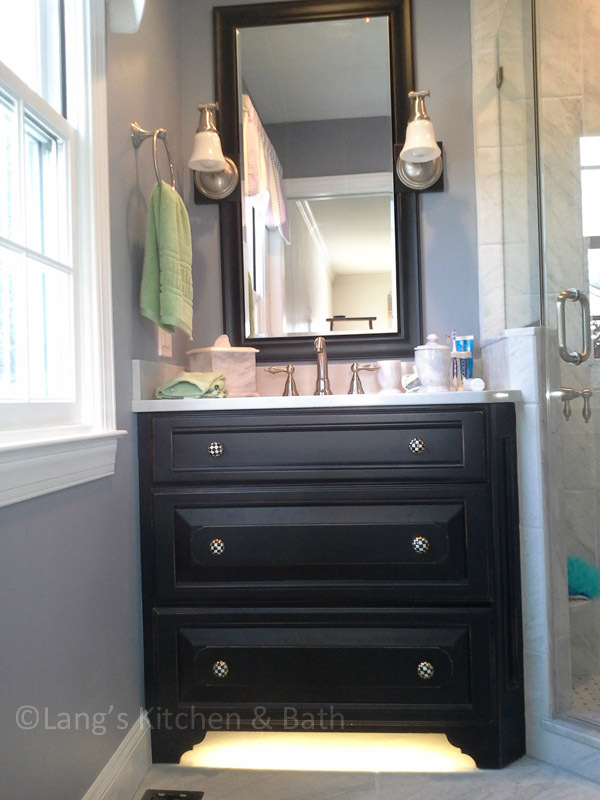 This bathroom design features a burnished black custom Jay Rambo three-drawer vanity that provides a striking contrast to the Silestone Lagoon countertop. This bathroom design features a burnished black custom Jay Rambo three-drawer vanity that provides a striking contrast to the Silestone Lagoon countertop. The corner shower has a mosaic tile design and built-in storage niche, and the Robern medicine cabinet offers more handy storage space.